I'm partial to the G10's too. I know it's apples to oranges, but I've got an aftermarket set on one of my 1911s from this company. Classy and functional. Pocket knives absolutely now have a niche as a kind of man-jewelry. That can't be denied. Lots of people make the claim of "stronger/lighter" for carbon fiber and titanium, but in reality it's only to justify their purchase just as I'm sure a lady has similar justifications for buying the latest $500 luxury purse. In the end, it looks cool and people want to feel proud of what they own and to have the "wow" factor when they show it off. Optimal performance sometimes takes a back seat. Carbon Fiber makes a bigger difference on bicycles, cars, sports bikes etc. 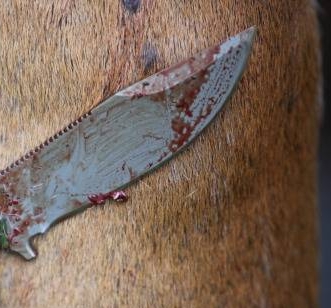 than knives, but to say its only application is aesthetics is an untenable viewpoint by any stretch. For someone that enjoys the Military model but prioritizes light weight, the CF single liner Millie could be the best model for their tastes, strictly due to performance. Me too, good stuff. I've asked more than once for them to make grips for the Ruger MKII... would be awesome. I think the bi-directional texture on the Delica is perfectly grippy. I see what you’re saying, OP. I like the knife to stay in my grip when cutting. It’s a knife. Most of the stuff nowadays is just shiny pocket jewelry, which I don’t mind sometimes. I like shiny things too. I wouldn’t pick stainless steel or titanium for my wharnie Delica at work, though, unless it had adequate texture. Given Spyderco's history of innovation, I'm really surprised they haven't done more with CNC machining of knife scales. Gun manufacturers and aftermarket grip makers, as well as a few folks making custom knife scales, take full advantage of it. WTC # 1458 - 1504 - 1508 - Never Forget, Never Forgive! G-10 has been one of my favorite handle/scale materials for quite some time now. Albeit I do also like Carbon Fiber, Titanium, Micarta and in some cases I've actually found that many of Spyderco's stainless models to make an ideal hard use, work knife. But you make some excellent points about G-10 and I will say that it is one handle material that regardless of whether it's a folder or a fixed blade you just can't go wrong with it. And maintenance is not that hard at all once you know a few tricks to keeping it right. You just proved his point, by choosing niche knives that few own and fewer actually use. Because it's hard to argue with the OP on the actual substance of his points regarding the broad set of knives out there. The integral lock boom right now is also more fad than function for most people. NTTAWW anyone buying things they like, for their own reasons. But all anyone has to do is look at what Spyderco produces, and that tells you where various materials and locks fit into the scheme of things. BTW, I thought Spyderholes and FRN were bizarre when I first saw them. But people seemed to think they were worth a try, so I got some. I had no idea what I was getting into. When one states something categorically, one is bound to catch some FLAK. Especially, when it might not be true. If ever a material being non-magnetic, impervious to rust, corrosion, salt water, chemicals etc 'enhanced the effeciency of a tool,' its in the titanium family of knives related to those in my post. One can say, one dont care for a certain material and list why but one cant deal in absolutes. At least not without someone debating the POV. BTW I use the titanium MPS and others from the company for hunting, kayaking, hiking. They are excellent light weight super strong knives and work well. When ever one wants low weight and high strength, titanium rocks. Goes for the titanium handle slabs with integrated locks from Spyderco as well. Now, whether one really needs the great strength to weight ratio in folders often used for opening mail, is another matter, as others have touched upon. For some knives actually being used, I personally like to have great strength and low weight. It doesnt have to be tested to the limit every time a knife is used. Last edited by SpyderScout on Mon Oct 29, 2018 8:41 am, edited 2 times in total. I have many knives in many scale materials, natural and synthetic, custom and production, and some are certainly better for particular uses than others. On Spyderco knives, I prefer G10 over CF, whether smooth or peel-ply. I think it feels much better / less clunky in my hand. I am not a huge fan of texture. It has its place but I don’t agree that more texture is always better. Yes, many times. See my post above. A non-textured or non-finger grooved (which I assume you mean?) titanium knife does of course not get any more slippery than a non-textured metallic knife. A textured or grooved titanium knife offers as firm a grip as a metal knife with texture/finger grooves. What consttutes 'a real man' in your book? He means actually using a knife for something other than fidget flicking or thread cutting. Not saying that’s you, so don’t get upset. Just what he’s trying to get across. Good discussion. Everyone likes different things for different reasons, and that’s how the world goes around. I'm in agreement that CF and titanium add cost to a design with only a small (or sometimes no) performance gain, however I would say that if all other things are equal (read: each material is contoured or textured in the same way) then CF and ti are just as good as any other solid material that might be used in a knife handle (rubbery polymer handles are a whole different subject). OTOH, peel-ply or bi-directional texturing *does* add utility compared to a smooth scale in terms of grip under adverse conditions, So if your knives are all-weather tools that you use in situations where the handle gets wet/sweaty/bloody/muddy then smooth handle scales won't add anything to your user experience no matter what the material. That said, many knives that have strongly contoured grips or that aren't intended for or well suited to heavy-duty use can be perfectly secure in the hand despite a smooth handle material. As someone who used a ZT 0220 at work for quite some time, I can tell you from experience that titanium handles are definitely not the best option if you need to use a folding knife several times a day during harsher than normal conditions. First and foremost, it is more slippery than G10, so I did drop mine a lot more often than any other knife. Also, keep in mind that I work with fingerless gloves. Second, and this is something that most folks tend to forget: titanium handles get COLD. I usually keep a main work knife and a backup, in this case a Native 5 with FRN handles, and during a certain time in November last year, it was physically painfull to try and deploy the ZT 0220. Imagine trying to hit the flipper tab on a block of ice, that's exactly what it felt like. I've just resigned to using the Native 5 until the weather got warmer. Eventually, I started using a ZT 0350 instead of the 0220, which was imune to cold weather and the grippiest knife I've ever owned, but that lead to another issue: pocket shredding haha. Granted, this might be more of an issue of the 0350 design itself, which has a ton of jimping and some extremely grippy G10, so keep that in mind. I got to thinking, and what about a ti scale milled with bi-directional texturing, like the chap LW? That could be really interesting, although certainly expensive. I’m with Paul on the ergonomics thing. I suspect that this accounts for at least a part of why he loves the Stretch. G-10 and FRN are both eminently practical handle materials, but there will always be a place for beauty, too. - not all of us butcher animal carcasses. And if I would, I'd probably use a fixed blade, or at least a longer folder, not a Manix 2, PM2 or PM3. - After some use, Ti scales are not really pretty any more. They scratch, have snail marks, etc. Arguably, a G10 scale in some fancy color, makes a knife "prettier". Search this forum for discussions on G10 scale colors, and you'll see what I mean. - I find Ti scales _very_ functional, as they increase the strength of the tang and pivot area. Why have - say - a Cruwear blade only to put it between sceletonized and cheaper-material'ed SS liners ? - I like the colder feeling of metal scales. I really don't care how a knife looks to other people, except my better half and Spyderco forum members There are some exceptions where - IMO - the look of the knife adds to the purpose, for example in Szabo or Civilian. 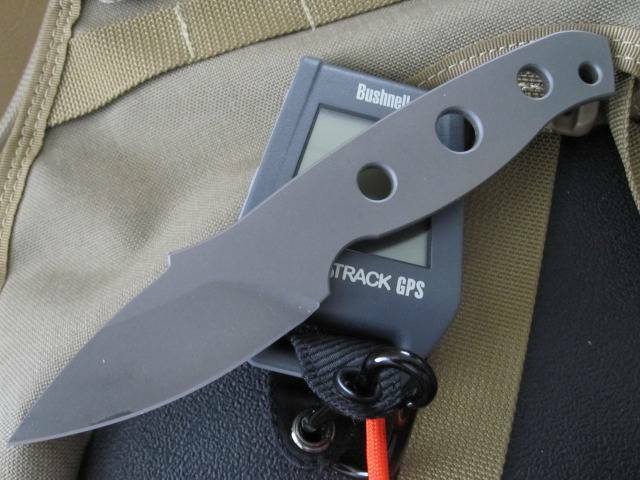 - I like the additional weight, for example of Flytanium scales on a PM2. - and finally, metal scales are easier to clean than goop'ed up, rough-textured G10 scales. Last edited by ferider on Wed Nov 07, 2018 12:17 pm, edited 5 times in total. I am a G10 fan for sure. Most of this discussion is ignoring FRN and FRCP and I intend to also. As for Carbon Fiber, I have decided that it is entirely a matter of cool looks. As far as grabbing it, id all up to how it is finished, it can be smooth, or as rough as any G10. As for weight, I have never seen it make any significant difference to the weight of a knife. With a metal blade and liners, they dominate the weight. As for Titanium, at least in the knives I own, I would say it is there for the "trick" cool factor more than function. CF and Ti are the male jewelry thing. It is the rare case where Titanium adds to the function of a knife, although some examples have certainly been given. Again, I have not seen any weight savings that really matter on any knives I own. I love my CF/Ti Military, as well as a couple of CF/Ti ZT knives I own -- but for out and out utility, G10 wins every time in my book. Thank you all for the thoughtful replies. Haven't been in the mood to debate but I enjoyed reading everyone's comments, and I certainly stand corrected on a few points. Have a good morning!